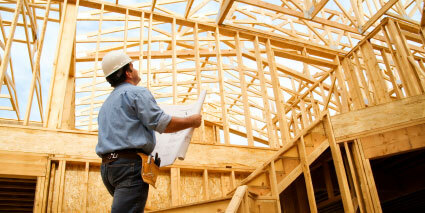 Savings on Work Comp Insurance and Payroll Services through Our Construction PEO Companies. How Does An Employee Leasing Service Help? Big discounts (up to 40%) on pay-as-you-go workers' compensation insurance - even with bad claims history. Plus, no audits, with little to zero down! Outsourced payroll, relief from employment liabilities and HR compliance demands, allowing for more time to work on growth. Group healthcare and other employee benefit options, including vision, dental, even 401(k) savings plans. What Do PEO Services Cost? On average, PEO companies charge an administrative fee of 2-4% of your annual payroll. For example, if your annual payroll was $500k and the PEO provider management fee was 2% - that's $10k. The services included in costs, are complete payroll administration throughout the year, including all tax reporting and W2s. Safety and HR services, free direct deposit, wage garnishments and management of employee benefits to name a few. With the Small Business Administration and US Chamber of Commerce studies showing in-house costs of managing these employment issues ranging between 9-13% of payroll - working with a construction focused PEO isn't just a good deal, it's a great deal. Construction employee leasing programs can provide an immediate and dramatic cost savings, under the PEOs master work comp policy. Because a PEO company has hundreds of clients, taking in millions of dollars in insurance premiums, good risk management practices lead to favorable work comp experience ratings, much faster than a small to mid-sized company. This allows the employee leasing company to immediately share in those discounts with their clients. While average savings range between 17-20%, some clients experience greater savings based on the work performed and state locations. Even construction companies with higher xmods, based on claims can see immediate savings, unlike traditional policies that force you to wait out an unfortunate claim or two. And with the PEO managing payroll, a direct audit is performed each pay period, so you'll never experience an audit again. How Can Employee Leasing Quotes Help? With almost two decades of helping construction business owners find the right PEO solutions for their needs, we guarantee a successful result. Just like any business, each PEO service provider is different. Different in their service and benefit offerings and of course price. Since 2001, Employee Leasing Quotes as been the nation's premier construction PEO outsourcing brokerage company. Call today for answers to your questions. Quotes and information are free.